Despite cassette tapes’ reputation for offering low-quality sound, this tape-to-MP3 converter exists. 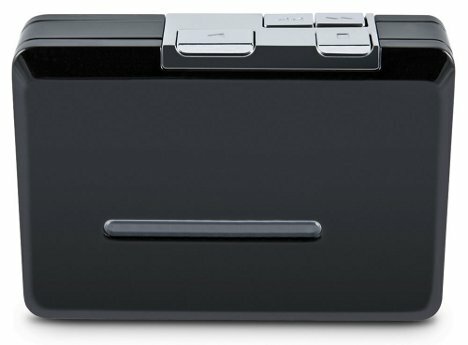 It looks a lot like an old-style cassette Walkman, but it’s got a slot to slide in an iPhone or iPod Touch on one side. All you have to do is insert the cassette tape, dock the iDevice, and press play – the included app converts the music to MP3 format. You can listen to your favorite cassettes from the device by plugging in a pair of headphones, or you can connect the device to a stereo system. 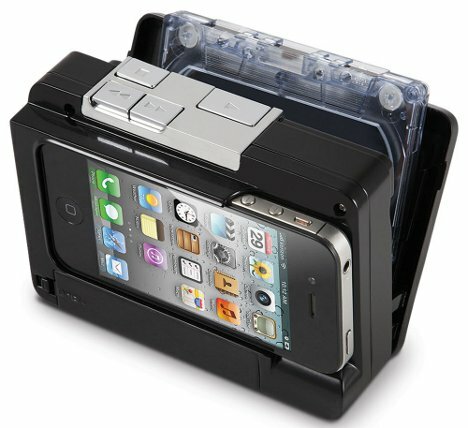 The Cassette to iPod Converter is available from Hammacher Schlemmer for around $80 – which is actually a pretty good deal if you still have a huge stack of cassettes sitting around, waiting for their comeback.